Catalin Botezatu is Romania’s most famous fashion designer and he returned to New York City Couture Fashion Week runway, held on Saturday, February 18, 2012 in the Grand Ballroom of the world-famous Waldorf Astoria hotel. 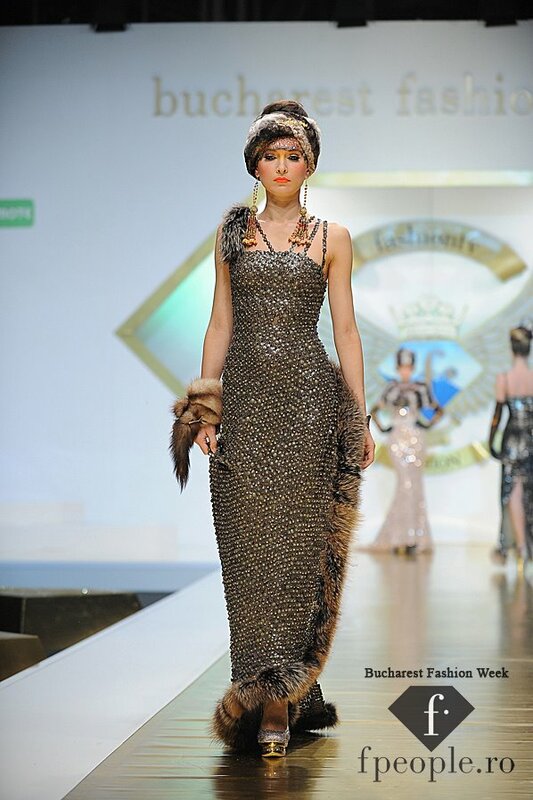 Entitled “Tsarina”, the Romanian designer's latest couture collection is inspired by the elegance of Russian tsardom. The ensembles were presented in a dramatic runway show, directed by the designer himself. The stunning "Tsarina Collection" took two months to create, and the show, over eight hours to prepare. 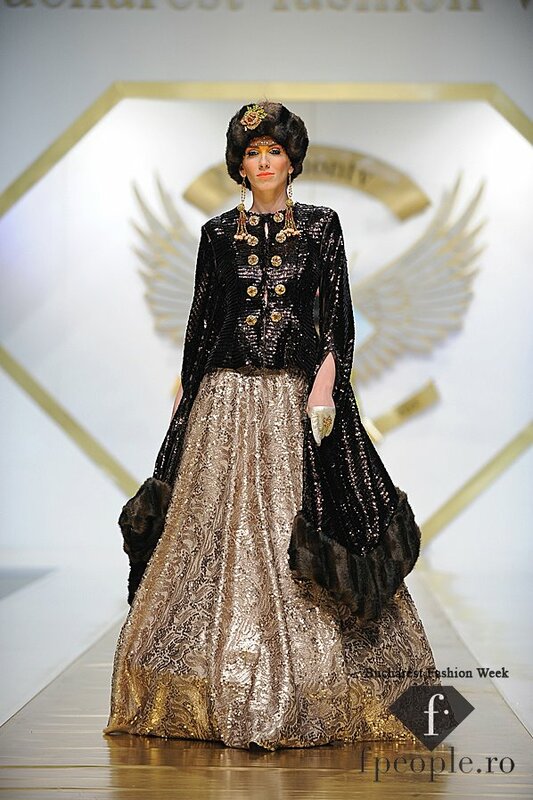 The designs featured luxurious hand embroidery, heavy rich fabrics, and fine brocades as well as touches of mink and chinchilla, reminiscent of the opulence and exclusivity of the Russian Imperial era. Sequins were applied on the beautiful fabrics, using the latest technology; leather, feathers and Swarovski crystals add dimension and refinement to the designs. The color palette of red, gold, silver, black, grey and green have been the foundation of these distinctive Catalin Botezatu creations. The hair styling for the show was made by the Laurent Tourette team, following the latest trends from the Paris Haute-Couture shows and makeup was done by the Mirela Vescan team. 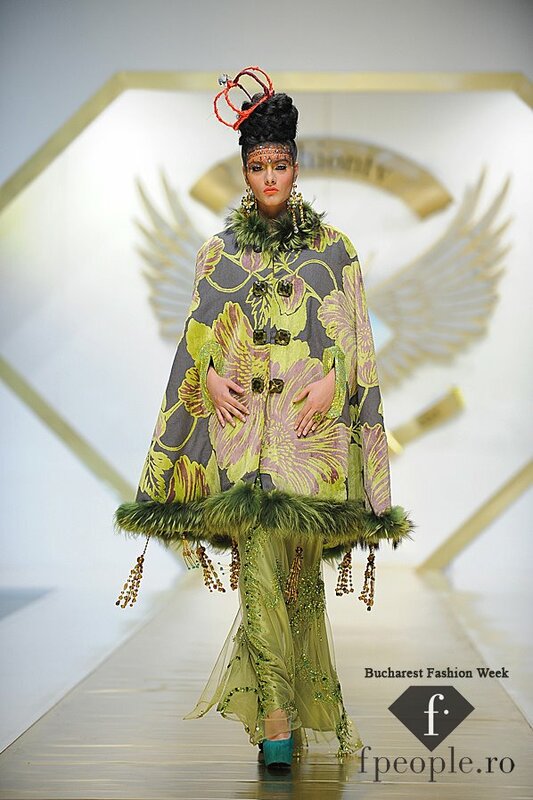 Catalin Botezatu’s distinctive couture collections have been presented worldwide and have been recognized with many international awards. He has been named “Designer of the Year” 6 years in a row by VIP Magazine (Romania) and has been presented twice with the “Award for Excellence in Fashion” by Fashion TV Romania, in addition to numerous other fashion awards around the world. Catalin Botezatu has done runway shows all over the globe including Rome, Athens, Monte Carlo, St. Tropez, Cannes, Moscow, Turkey, Budapest, Ibiza, Malta, Sun City (South Africa), Windock (Namibia), as well as New York, and his fashion accomplishments have been featured in prominent publications and media worldwide, including Book Moda, VIP Moda, Modastyle International,Vogue U.K., World Fashion TV, EuroNews, Der Stern, Deutsche Welle, Financial Times and Italian television networks, such as RAI, TG3 and Italia Piu. Most of his fashion shows are broadcast by Fashion TV. He is also a famous television personality in his native country, Romania, appearing on "The Bachelor" and as host of "Romania’s Next Top Model". The fabulous collections of Catalin Botezatu have all had a well defined themes, like "Egiptyon", "Budha Bar", "Angels", "Ameno", "Witches", "Bizantium", "Barbarian", "Kyoto", "Chicago" or "J.O", his exclusive garments beeing completed by impressive collections of hats, furs and accessories. Catalin Botezatu presented 30 underwear fashion shows, like : "C.B. Intimo", "Sailor", "Power", "Army", "Poveste cu elfi" or "Pirates". 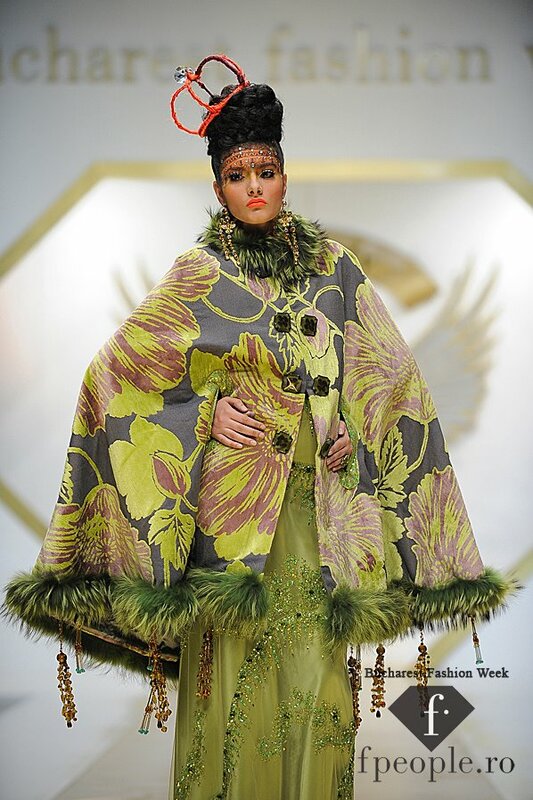 From Couture Fashion Week New York 2012, Romania's most famous fashion designer Catalin Botezatu presents his 2012 Collection "Tsarina" inspired by the elegance of Russian Tsardom.